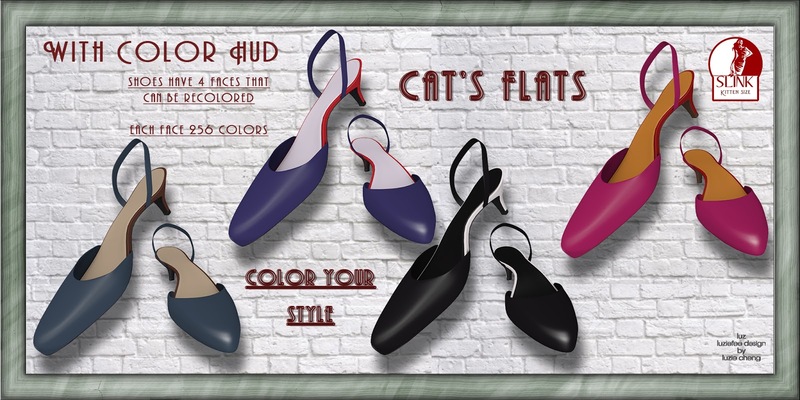 Cat's flats - so vintage, so retro and you take the control! These pumps are made for Slink kitten height. They come with a color hud with which you can recolor every single face of the heels. 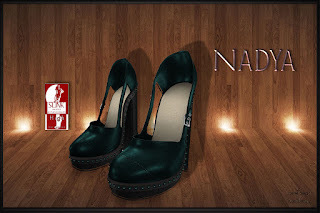 You want a green sole? Just colore it! You need exact color which matches your skirt, pants, etc - color it by entering the RGB values! Did you know? Luziefee is at the "Wash Cart Sale"! The old style body suit has Omega appliers and the standard layers for the SL Avatar body. 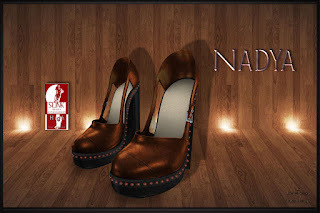 Look also for new group gifts and get older group gifts for 10 L (Group only), subscribe for a monthly little giftie and be updated about new releases, sales and special events.